Dress up your bed with our Dawson Star Bed Skirt. 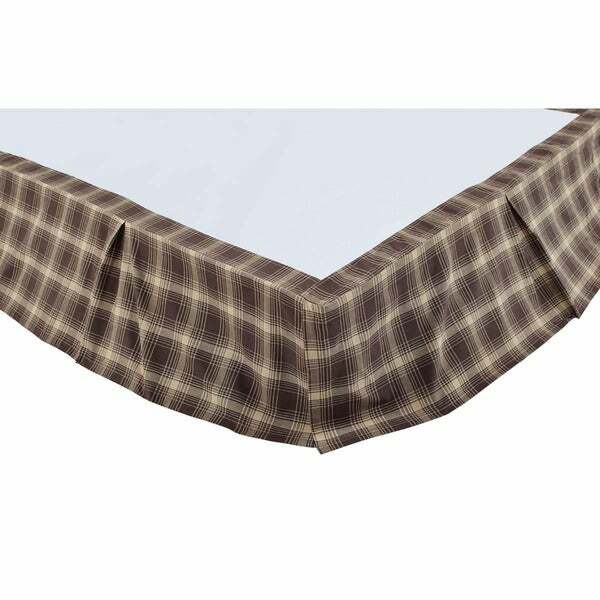 Box-pleated cotton fabric in rustic shades of woodland brown and khaki plaid with 16-inch drop finished with split corners. Great quality! Heavy not flimsy at all. Irons nicely.